Waste hundreds of millions of New Jersey’s dollars that are badly needed for "smart growth" highway projects. Some of these already-planned projects include repairing the state’s 2,000 deteriorated bridges and Governor’s six-point plan to improve highway safety, rail freight transportation, and to create 20,000 Park and Ride spaces throughout New Jersey. New Jersey can’t even afford to keep the restrooms open on the roads we already have. Why should we raise tolls and taxes to build more roads that we don’t even need? Clog Route 1 and our local roads with 20,000 or more additional vehicles per day. Even including Princeton, Plainsboro, and West Windsor, where the local politicians support 92! Part 3: "Interstate 206." 206 gets the "Route 1 treatment" from Montgomery all the way up to 287 in Somerville. Letter, Frank Winters to J.F. Andrews: "It will be important that the Route 92 study begin as soon as possible in order to coordinate with the Route 206 study and to make sure the construction for the two projects is completed reasonably close together. This would avoid traffic problems that would result if Route 206 were completed without Route 92." Sarnoff Corporation. Sarnoff has re-zoned its lands for up to 2.8 million additional square feet of office space. Sarnoff has sold 90 acres of this land to Princeton University. This sale was contingent on getting approval from West Windsor Township for the zoning change, and the full buildout is contingent on the Millstone Bypass or the functional equivalent being built. The Sarnoff property lies on Route 1, within a mile of the western terminus of Route 92. The Bloomberg Financial Corp .in Montgomery, which is planning to add 3,000 additional employees to their facility. Montgomery is opposing Route 92. Bristol-Meyers-Squibb in Hopewell. An expansion of the BMS facility in Hopewell Township by nearly 2 million square feet will impact land use, water consumption, wastewater treatment requirements, and traffic. 92 will be a conduit for traffic to Hopewell, including BMS. Hopewell is opposing Route 92. These and many other developers and large corporations are eager to mine our last remaining open space. 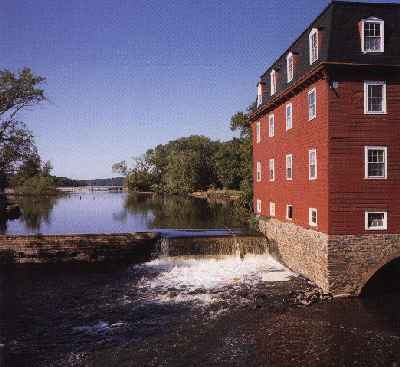 The historic Kingston Mill, on Carnegie Lake. Kingston, one of New Jersey's "Vanishing Villages," is at risk from Route 92 traffic and sprawl. A one-way toll would have to be $3.50 to pay off a 30-year loan for 92 at 6% interest. This is more than the current toll from Hightstown to Newark Airport! And it's to go six miles - when there's a free road only a mile away that goes the same place! And this is just what the Turnpike Authority's numbers say. The Turnpike has a bad history of controlling its costs. Working from E-ZPass figures, the price could easily double to $7.00 to go six miles. Get the state of New Jersey out of the business of subsidizing sprawl. 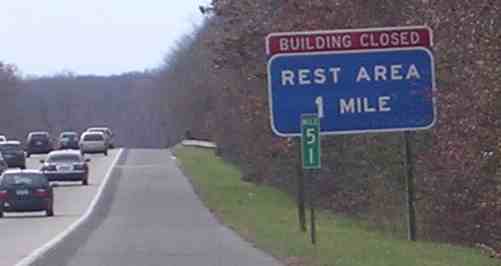 Middlesex County Route 522, a free road, already does everything that the 92 toll road is supposed to! It'll just attract more through traffic and sprawl construction!